This week I’m going to be talking about the first barrier that keeps most people from successfully treating the number one underlying cause of arthritis: not catching every single one of their food and chemical sensitivities. Last week we talked about food and chemical delayed hypersensitivities and how important it is to identify each food or substance that is causing you a problem. This week we will be discussing all the hidden places that these foods are so that you can eliminate them. As you may remember from last week, here’s a picture of a healthy gut. When everything is working right, you eat, it moves through your gut, and there’s no problem. The immune system starts raising reactions against these particles. Because the circulation in the joints is not very robust, it’s kind of like a backwater: the complexes of food and antibodies will tend to settle in your joints. The immune systems will then just go haywire and start attacking everything there, which is how you get the inflammation in the joints. Normally, if you have food tolerances, it would just pass right through the gut and there would be no problem. However, once your immune system starts attacking these food and chemical particles as foreign invaders, it starts damaging your stomach and intestines and making your gut even leakier. Then you get even more of these things leaking in to your blood stream. It becomes a vicious cycle. You start developing even more food and chemical hypersensitivities; then, that creates even more damage in the gut. More only partially digested particles leak into your bloodstream, causing even more inflammation in your body. The cycle escalates. It is a bad vicious cycle to be in. What we need to do to calm this down so everything can heal is totally stop the incoming problem foods that you’ve developed your reactions against. If you avoid all your problem substances for about six months, your immune system will start healing and your gut will start healing. Then, when you finally reintroduce these foods and chemicals back into your system, most of the time what will happen is there will be no reaction because you will develop oral tolerance again. You may still have a few problem foods that stick around but most of them will go away with time and will be healed. You can eat the very things that used to cause you the inflammation in your joints and it won’t be a problem. But to do this, we’ve got to totally get rid of all the problem foods and chemicals that you’re eating for a period of time. And what you might gather from the title of this video, it’s the hidden sources that are a really big stumbling block for people, the places that they don’t know are exposing them to allergens. What are the Hidden Places? Anything that is touching your skin that has a chemical that’s derived from one of your allergens. Say, your shampoo has vitamin E in it that’s derived from wheat and you’re allergic to wheat. Then, your shampoo might be keeping your reaction alive. Say, you have a reaction to olive oil and your soap is made out of olive oil. Then, every time you wash your hands or you take a shower, that’s helping to keep the reaction alive. Or perhaps your skin care lotion has some soy product in it and every time you put that lotion on your skin, that’s helping to keep the reaction alive because you’re still being exposed to the allergens. Again, I’m just using these as examples because there are all sorts of different allergens that can be in shampoo, soap, or skin care lotion. Toothpaste can hold a slew of different allergens. In my case, I had a severe corn sensitivity and toothpaste was the very last thing that I eliminated that was causing a problem. Every time I brushed my teeth, I was getting exposed to corn allergens. Having that in my mouth was keeping my reaction alive and the inflammation in my body alive. I needed an hour less sleep and the last of my inflammation left when I started using baking soda instead of regular toothpaste. So, depending on what you’re reacting against, toothpaste might be a problem, since there are many different things that could be hidden in your toothpaste. Many people react to treatments that are used on clothing and cloth. Depending on what your particular set of sensitivities are, you might need to wash clothes or any kind of material that comes into your home so that you’re not exposed to these treatments that make you ill and keep you ill.
Not everyone lives alone; a lot of people live with a family. Say, you have a problem with wheat, there’s a toaster in your kitchen, and every time somebody toasts something, crumbs get on the counter. Then, somebody uses a sponge to wipe the counter. If they don’t do a very good job, they just smear wheat allergens all over your counter or maybe it gets on your plate accidentally. So that’s a possible way you can get hidden allergens. When I had my pre-sensitivities I was living in a house with four cats. We fed them in the kitchen. The major ingredient in the dry cat food that we fed them was corn. There was a lot of dust from the cat food that got all through the kitchen and that I could breathe in. It would get on the dishtowels, it would settle on things, including the dishes. So be aware that sometimes dust can have hidden allergens that you might be reacting to. The adhesive on stamps and envelopes usually has corn or wheat in it, or it’s derived from either of those. Licking a stamp or licking an envelope to close it may cause you to be exposed to allergens and keep your inflammation alive. Cardboard food containers also usually have either wheat or corn as part of the adhesive that keeps them together. Say, you have buttermilk out of a cardboard container or milk like I remember we used to get in little half pint containers when I was in elementary school. Even if you have absolutely no problem with milk, there can be some dissolving of that adhesive of either corn or wheat into the milk that’s in a cardboard container. That’s another hidden source. The lining of tin cans also have different chemicals, and if you happen to be having a reaction against one of those chemicals that can keep your arthritis alive in your body. Plastic food storage containers also can leach chemicals into your food. Depending on whether you’re sensitive to these chemicals, using plastic containers can help keep your arthritic action alive. This is especially because these chemicals tend to be released when plastic containers are heated in a microwave. Do not reheat your food in plastic containers in a microwave. Heat them some other way. If you?re going to use the microwave, put your food on a plate that doesn’t have this problem. A lot of people are allergic to components in cleaning chemicals. If you happen to be in a bathroom that’s just been cleaned, like in a hospital or a university or another public building, then if you’re allergic to those chemicals, smelling them and having them in the air can be a source of exposure. Processed food: there are all sorts of pitfalls. I’m going to talk about that a little later in this presentation. In the air there are also all sorts of pitfalls and I’ll talk about that in more detail, and also in water. First with processed food, there’s something called the standard ingredients labeling law. There are over 300 products in the US that as long as a product only contains things that are part of the standard ingredients labeling law, those ingredients do not have to be listed on the label. For instance, I once got sick eating cheese that a friend of mine happily sent me. It was made by monks in a monastery. It only said milk and retin on the label. It didn’t say salt. At the time, because table salt is made with dextrose, (it’s diluted half and half with dextrose so that when the weather is damp the salt doesn’t clump) and because dextrose is made from corn, and because I had a severe reaction to corn, I wasn’t able to have cheese that was salted. I wasn’t actually able to have anything that was salted with table salt without getting sick. So for a Christmas present my friend gave me this special cheese made by the monks that she thought didn’t have any kind of corn products in it. I ate it and I got sick. I called the monastery. Legally, there was no reason for them to have to put salt on the label because it’s a standard ingredient for cheese. Legally, they were fine, but I explained to them the problem. I asked in the future if they would please include all their ingredients on the label so people like me would not accidentally get sick. There are so many different products, over 300, that you just have to know if you have an allergen like corn that might be an ingredient that’s not even on the label. It’s a tricky thing. There’s another law about excipients. If something being sold as a pure product, like salt, if other ingredients, such as dextrose, are added, then it’s got to list the other ingredients. But if salt is used in another product like cheese, then the dextrose is considered an excipient, it’s not the main product. It’s just something that happens to be in there that’s not salt. The excipient law says that you only have to say the main ingredients, you don’t have to list all the subsidiary ingredients. That’s why even if salt is on the label of cheese, it doesn’t have to reveal dextrose was in that salt and hence, corn allergens. You have to have a whole other level of awareness of all the possible excipients that could be added. Corn products are usually added to artificial sweeteners and to vitamin C.? All sorts of products that are made industrially have extra things in it that you would never necessarily know unless you buy that supposedly pure product and then see what else is added. You can have contamination from containers. I mentioned this earlier, like components of glue leaking into food, or the chemicals in plastics leaking into food. There can also be contamination from shipping. Say, you have olive oil, and you think it’s pure olive oil. What what you don’t know is for that that particular shipment, the big oil truck that carried it to the processing plant, might have been used for a canola oil the shipment the load before and they hadn’t thoroughly cleaned the tank. It’s possible sometimes that even though you think you have a pure product, just because of the way things are shipped, this product may be contaminated with something else from another shipment. Same thing with processing; one well-known example is that even though oats don’t contain gluten, they’re often processed in the same plant as wheat and other gluten-containing products. Because of the industrial environment, gluten will get into the oats even though the oats themselves don?t contain gluten. Just because you don’t put something in your mouth, like a food that you have a delayed food hypersensitivity to, doesn’t mean that your immune system isn’t seeing it and reacting to it. This is because your mouth and your nasal membranes all are connected to your immune system. If you put your head over something that smells really good, and you have a delayed food hypersensitivity reaction to one of the volatile components in the air, if you breathe that in you will react against it. This means you can have a reaction against it even though you never put it in your mouth. People highly sensitive to gluten can’t even walk into bakeries because there’s enough wheat flour in the air that when it touches the nasal membranes, it will make them sick. Cleaning chemicals can be in the air too; I’ve already mentioned that. You need to be aware. Another problem in the air can be drywall dust. Here’s one that many people don’t know about: the glue that holds drywall together contains wheat, and so if you’re wheat sensitive or gluten sensitive and you are breathing drywall dust, that can be a source of continuing the inflammation in your body and keeping your gut from healing. I talked with one woman whose husband is a contractor. He comes home covered in drywall dust all the time. So I told her that he needs to dust off and take a shower and put those clothes in a place where she can’t breathe it in before they start cuddling, or else she’s going to get that on her and in breathe it in. Paint contains a lot of different chemicals, some of which people often have sensitivities to. If you have these particular sensitivities, you need to stay away from rooms that have been freshly painted, and not do the painting yourself. Pressboard and carpet both contain chemicals that people often have delayed chemical sensitivities to, so if you’ve got new furniture made out of pressboard, or new carpet, while they’re actively out-gassing that can make you sick. Some people react strongly to car and diesel exhaust, so if you happen to be one of those, you need to avoid being in situations where you’re breathing that. Crop dusting and chemical lawn sprays are another place where you can get exposure to things in the air that are not good for you and will keep you from healing. In water, the ALCAT Test, which has been a godsend for so many people I’ve worked with, can test for chlorine and fluoride. Most people don’t react to those, and that’s great, but some people react quite strongly and so they need to remove the chlorine and fluoride from their water, if they’re drinking municipal water. They also need to use a toothpaste that doesn’t have fluoride if they want to get well. Sometimes there are pesticides that are in water and heavy metals that can mess up the gut. There are so many different things that can be in water and you won’t necessarily know if you’re reacting against those things unless you know whether they’re in your water, or you can find a non-contaminated source of water to try. I mention it just because it’s important with all these things to be aware of where you might be getting contamination. Most of you at this point in the course will not know very clearly what your list of problem foods and substances are. If you already know, then you can start using the information in this course right away to figure all that out. I have really extensive lists in my book, Conquering Arthritis, of names on food labels that can mean the presence of different food allergens, and a whole other chapter on places different allergens can be hidden. You can use that in conjunction with this week’s lesson to really start doing the detective work that’s going to allow you to get rid of every single source of problem exposure in your life, which will allow you to heal at a very deep level. Then, instead of reacting against these things, for the price of six months of being really vigilant, often what happens is for the rest of your life you can have exposure to most or all of these things again with no problem and no arthritis. Many of you won’t know yet what your food and chemical hypersensitivities are. Even though you don’t know that yet, what I want you to do for the challenge for this week is just become aware, because once you do get that list, if you already have the awareness, then it won’t be so overwhelming. You’ll already know where to look and the basic concepts, and then, you’ll know how to use that information right away. I won’t be hitting you with so much information all at once that it just doesn’t compute. Part of the value of this course is breaking things down into small units. Largely the value of this week is giving you an intellectual foundation that you can use once you do have the specific information. If you don’t know your list now, don’t drive yourself crazy, because once you do, what you’ve got to figure out will be much more obvious and narrowed down. What I want you to do this week is just pick 10 foods or grooming products that you frequently eat or use, then look carefully at the labels. This is to sensitize you to all the different things that can be added to the foods and products that you’re using. Ask yourself: do you know the source material for each of these ingredients? Like I mentioned before, in my book, Conquering Arthritis, if you’ve got a wheat sensitivity, a soy sensitivity, a corn sensitivity, or a milk sensitivity, you can look and see all the different names that are on labels that indicate that that problem substance is present. Right now you don’t need to know, unless you specifically already know your problem foods, but this is a sensitizing exercise so that you can realize just what you’re up against. Then I want you to ask: is this a standard ingredient item that might contain ingredients not on the label? If it’s things like mayonnaise, cheese, yogurt, mustard, ketchup, or any of those things that are common on the American table, you can almost bet that it’s a standard ingredient item. Shampoo, soap, skin care lotion, all of those are going to be standard ingredients. Even if you find a company you really trust and know that they’re doing full disclosure, keep in mind that there may be things that aren’t even on that label. It’s perfectly legal for them not to put it on the label, and you just need to know what possibly could be in there that they’re not even listing on the label. Just know that that’s the level of vigilance that you will soon need to have. Then ask yourself; could there be excipients added? Things like chocolate, if you buy “pure cocoa”, the label must list everything that’s in it, but if it’s chocolate cake, all the label has to tell you is chocolate. It won’t have to tell you that there’s sugar, milk, or any of the other things that are added. Ask as a mental sensitizing exercise: could there possibly be excipients added? Also, think about what environments you’re in where the air might contain hidden allergens. That might be when you’re traveling. It might be where you work. It might be other people’s homes that you visit. It might be your own home. I didn’t mention cigarette smoke, but it has a lot of different chemicals too, so that’s another thing to be aware of. If you already know your allergens, then you can use this to do specific homework. But the main part of this challenge is just go give you the mindset, so that further down in the course when you actually start figuring out your exact list of allergens, you already know what to do so that you can be successful. Often I’ll work individually with people, especially if they do the ALCAT Test with me. I often work for an hour or more, just pointing out all the different places where there could be hidden allergens that they may not know about. If you don’t do that testing with me, you’ll need to get a good source like my book, or you may need a guide like me to help you figure it out, or you’ll just have to know that you may have to do a lot of research to be able to be totally successful. I don’t want to minimize the effort it takes, but it is possible and it’s doable, especially if you have severe arthritis. This really is the number one reason why people don’t get well even when they know their allergens. It’s because they don’t get the hidden allergens. I am so committed to people getting well, and I want you to know what you’re up against so that you can succeed, because knowledge is power. And when you get every single one these out of your life, that’s when the major healing starts, and it’s such a fantastic place. I don’t want you to give up too soon, and I don’t want you to go in with incomplete information that keeps you from succeeding. It might seem like a little bit of a discouraging lesson today because of what you’re up against, but think of it as once you know, then you can slay this thing and you can win. Again, I’m so happy you were able to join me and I look forward to talking with you next week. To sign up for this course, if you are not already a member. 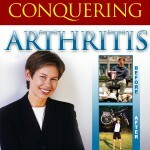 The page this link sends you to will give you access to lots of great information, including information on this arthritis secrets coaching course.